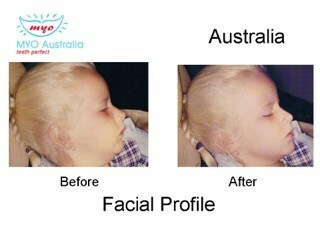 Dr Kevin Bourke had literally 1000's of "before and after"photographs from people using the Myo Munchee. We've used some of his case examples and stories of Real People who are Munchee fans to help inspire your Munchee journey! Many different people have used the Myo Munchee since Dr Kevin first invented it. We see "repeat generations" of people who used it as kids and are now buying it for their own kids. We took some time to meet and film some of these people to capture their stories. The following slideshow demonstrates some of Dr Kevin's results using the Myo Munchee. The main points to watch out for are the improvement in the resting position of the lips, changes in facial width and of course improvement in the way the teeth fit together.